We’ve had a little taste of sunshine and some heat already and it’s a great time of year to get out and about with the family to experience a little excitement, some culture, good food and exhilarating music. Shropshire is full of wonderful family events to suit all ages and all budgets. With events spread from spring time to September and beyond, there is something for everyone. Here’s a round-up of our best picks for events coming up this summer across Shropshire. It includes vital information on where and when they’re happening and whether you’ll need to budget for them. What; As part of the Telford 50 Celebrations, Lindstrand Technologies will be bringing a variety of hot air balloons that will be floating above heads throughout the day as well as being tethered in the QE11 arena. The Midlands Kite Flyers will also be on the adjacent Rugby Club flying their huge kites. There will be an opportunity for families to fly or make their own kites on the day. The fun will continue into the evening where the balloons become wonderful floating lanterns, bouncing to music on the Saturday evening. Sounds wonderful! What; The annual Shropshire County Agricultural Show attracts thousands of people from across the country to the West Mid Showground in Shrewsbury for a celebration of the rural community and to highlight the role it plays in our daily lives. What: In its fourth year, this event promises to be a day of fun for the whole family with donkey rides, bouncy castles, face painting, nature trails and many other activities. No need to get tickets as it’s FREE so just turn up and enjoy yourselves! Join the scarecrow competition created to promote teamwork, creativity and good old-fashioned fun. Teams of 10 children max and 5 adults max, £5 entry per team. When; Saturday 14th July 2018. What; Newport Show brings together the best of the region’s food, entertainment and agricultural excellence in a one-day event not to be missed. This year the show features Great British Bake Off runner up Steven Carter-Bailey, high octane displays in the show ring, the best of local food, agriculture, vintage tractors, music, an education hub, festival of food and lots, lots more. Cost; Advance tickets are priced from £4 for children to £31 for a family ticket. What; The Retro Festival. With a fabulous lineup of artists including THE RETROBATES PARTY LIVE to bring you the very best of the 80’s and an action-packed day of retro madness, there is plenty to do for everyone at this family-friendly festival. What; Carnival of Giants 2018 is an opportunity to celebrate the Giants of Telford both from the past and the present, from the famous to our everyday unsung heroes. On Sunday 15 July 2018, there will be an amazing parade celebrating the Giants of Telford which will identify who the Giants of Telford are and bring them to life for the Telford Giants’ Carnival Parade. What; 14 TOP shows in Telford Town Park this Summer with Oakengates Theatre. This unique entertainment experience includes comedy, music, dance and children’s shows. Follow the event on Facebook for more information on what is planned, show dates and ticket on sale dates. What; Shrewsbury Flower Show is recognised and admired not only as Britain’s best two-day summer show but also one of the finest events of its kind in the world. Cost; Adults £25 – £28. Concession £23 – £26. What; A different kind of a day out, for all the family! The Magnalonga is a food and drink walk of between 8 -10 miles. This year it starts and finishes just outside Ludlow – at the Shropshire Hills Discovery Centre. A journey which combines a walk through unspoilt countryside with some of the best food and drink from Ludlow and across the Welsh Marches. Cost; Tickets on sale towards the end of June – Price to be confirmed. What; The 2018 Shrewsbury Folk Festival takes place from August 24 to 27 and will provide four days packed with fantastic music, dance, and entertainment all on a centrally located site in the heart of Shrewsbury. There are four music stages, a dance marquee with acclaimed ceilidh bands, dozens of workshops, a craft fair, well stocked real ale & cocktail bars, as well as Pandemonium! – a children’s festival -and Refolkus for 11 to 20-year-olds – with on-site camping for weekend ticket holders. Cost; Tiered Pricing. Camping/No Camping Option. Day and Weekend ticket options – see website. What; Bring the children, parents and grandparents for a relaxed afternoon and evening filled with beautiful music reminiscent of the Last Night of the Proms. This is a great introduction to classical music, featuring local acts and some of the best talent across the country, as well as bars, food stalls, and children’s activities. 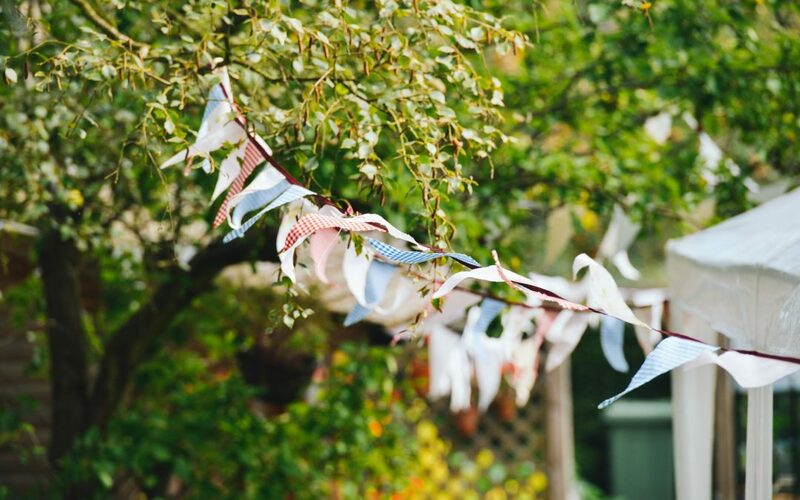 Lay out a picnic blanket, or set the scene with table, chairs, candelabra and union jack bunting. Settle in for an afternoon of inspiring music, fabulous food and fizz, all in stunning parkland which becomes magical at nightfall. Cost; Early Bird tickets £19 (or £18 for groups of 10+) Children under 13 go free! As you can see, there is plenty on for everyone over the course of next 5 months. We hope you create some special family memories and we’ll look forward to seeing you at Proms and Prosecco in the Park on the 8th September to help you gently wind down your summer celebrations.